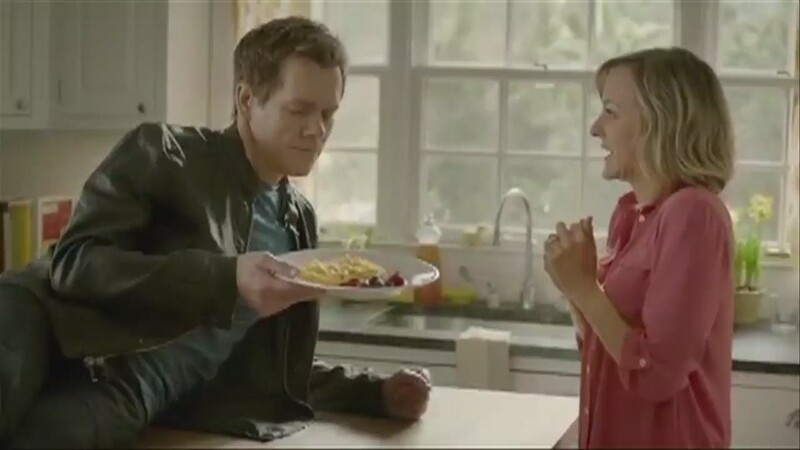 There's no better way to start the day than eggs, except maybe eggs with a side of Kevin Bacon. Why didn't this match-up happen sooner? The actor is the new spokesman for America's egg farmers and will soon be in TV and online ads promoting the nutritional value of eggs. There are sure to be plenty of puns. "Nobody knows eggs better than bacon," he quips in an online video released Friday by the American Egg Board. Bacon said he's always been a big fan of eggs and that, "with a name like Bacon, I'm the obvious choice." Eggs are already becoming more popular. American egg consumption increased by more than a dozen eggs per person over the past five years, according to the USDA.